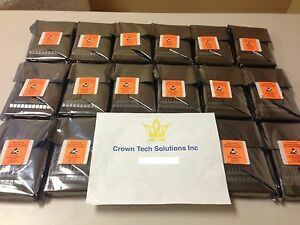 crowntechsolutions has no other items for sale. 350 PCS IN STOCK !! SHIPS FREE !! 3YR WARRANTY !! Product as described. Well packaged. All is right, good seller, recommended !!! Good seller. Hope i will work with this user again. Good seller, fast shipping and delivery, hdds are fully operational. Recommend. Excellent seller, lighting fast shipping, smooth transaction! Thank you!